Hahnemuhle Velour is an artist-quality 260gsm pastel paper which is both acid-free and archival. 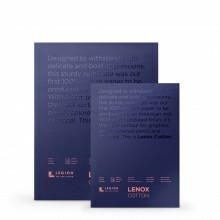 It is composed of an acid-free backing sheet which has been coated with inert synthetic fibres. This gives the surface a velvety feel which has sufficient tooth to hold soft pastel colour, as well as oil pastel, charcoal or soft pencils. Because Velour can hold a lot of pastel, it is perfect for painterly pastel artists who create works with soft edges. 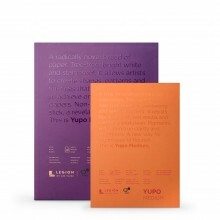 This gummed pad measures 30 x 40cm and contains ten sheets. The sheets are of 9 different colours: white, medium grey, yellow, orange, dark grey, sand, ochre, light grey, and black.